Tired of working 40-70 hours a week? Tired of working Nights, Weekends, and Holidays? 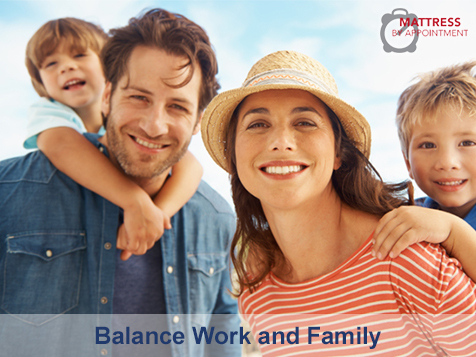 Do you want a work/family/life balance? Do you want to go on annual company incentive trips to exotic destinations?
! !Mattress By Appointment May Be The Right Company For You!! Mattress By Appointment enjoys significant advantages when compared to traditional sleep shops, and furniture stores, and our business is already proven nationally in over 45 states with dozens of talented individuals, just like you. Our owner/operators set their own schedules weekly through appointments made online, and over the phone. All you must do is answer the phone. No cold calling. No MLM. Join this exciting, and dynamic company, as we grow to 1100 locations throughout the country. Financing available for qualified candidates. Watch our Video & Apply Now! Disclaimer: Even though all of the above is true, it is important to understand that this opportunity is not for everyone. We are seeking individuals who are naturally motivated by success, and recognize themselves as self starters. We will provide all the tools necessary for you to be successful, but you must be willing to follow the business and advertising plan consistently for 3 hours daily in order to achieve similar results as our other owner/operators. The difference between a $75-$150k earner per year is solely based on how quickly, and comfortably you embrace the advertising model.